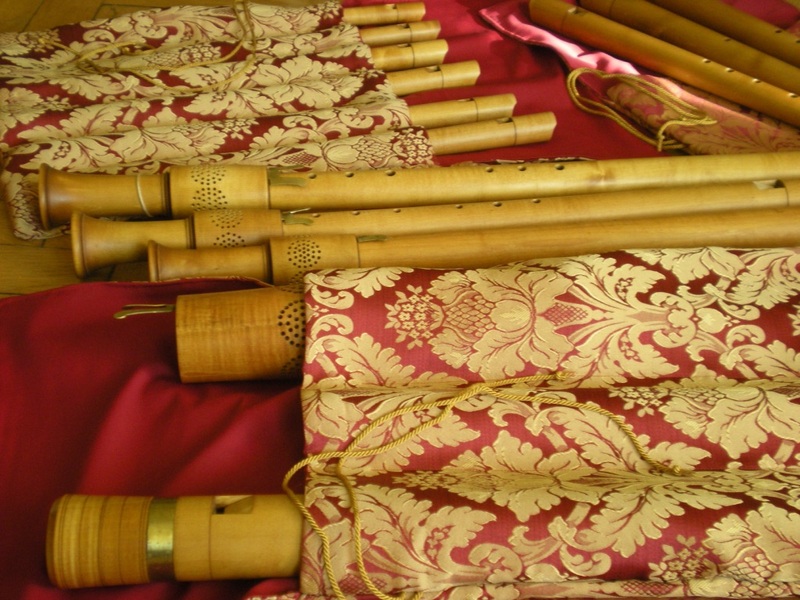 Renaissance recorders are mostly cylindrical instruments with a strong lower octave and a range of one octave and a sixth. 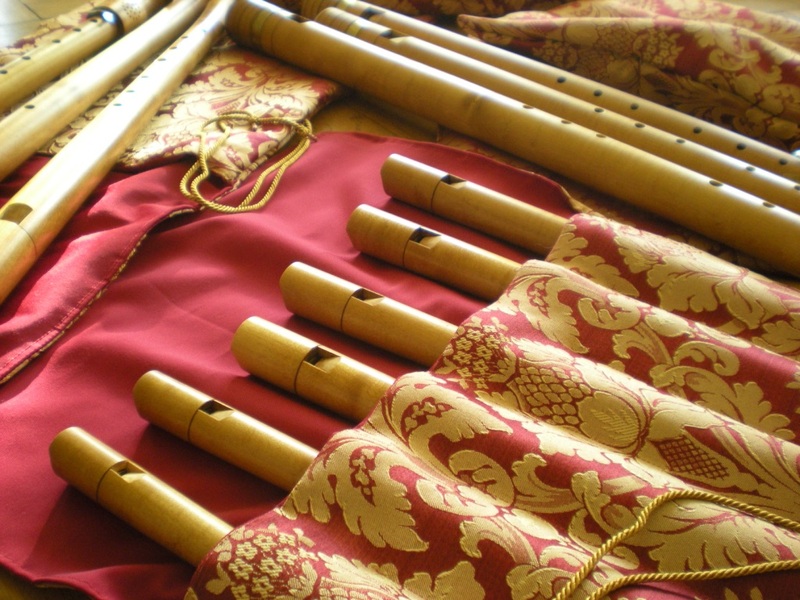 They were built as consort instruments in matched sets. Most instruments were built in one piece, at least down to the basset size. 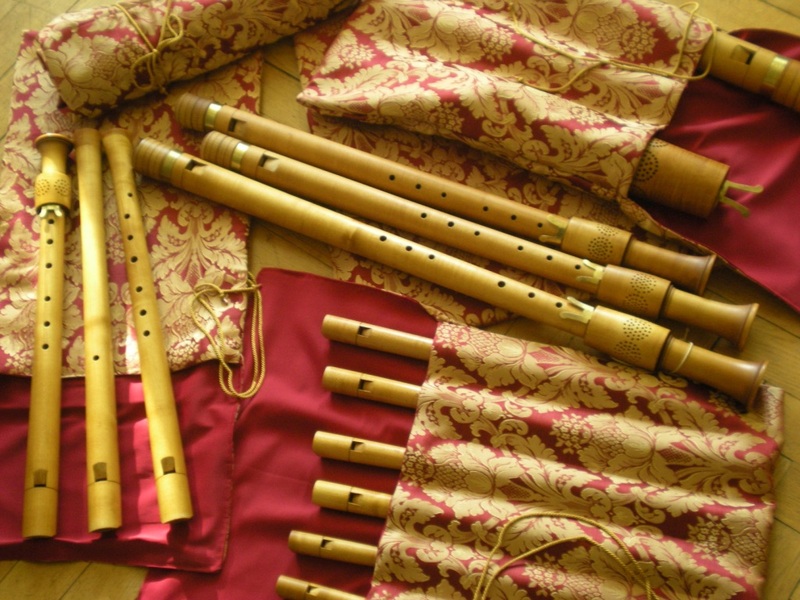 The first modern makers to take these instruments serious were Bob Marvin from Canada, who made the instruments for the Vienna Recorder Ensemble in the 1970s and who still makes sets most players dream of, and Klaus Scheele, who worked for the Loeki Stardust Quartet. We do have a large set of 17 Renaissance instruments in: F, c, c, f, g, g, g, c', c', c',d',f', f', g', g', c'', d''. With this we can play all music up to seven or nine parts without ever running into problems. Klaus Scheele made me my first consort around 1975, much smaller, with just seven instruments in f-c'-c'-c'-f'-g'-c'' and at standard pitch. Of cource he was my first choice when it came to getting a new set at a higher Renaissance pitch and with all the instruments I need for playing and teaching now. The instruments are a dream. I love the fact that each one has its own voice and character - there are three tenors in c', one with the lip to the front, one with the lip to the back and one keyed and therefore with a different scale. It's so much fun to play trios and have three close but distinguishable voices. For my teaching this set has done wonders. Whenever I'm invited to do a consort class I bring my set. The students need just a few minutes to get familiar with the instruments and then we can work on the music for a day without have tuning sessions or recorder repair clinics all the time.